Welcome to the Carterville Lions Club website. The Lions motto is WE SERVE and that is what the Carterville Lions Club wants to do for our communities. The Carterville Lions Club was chartered in 1922. WHAT THE CARTERVILLE LIONS CLUB DOES? - purchases eyeglasses for deserving individuals who cannot afford them. - takes on various community projects. - sponsors the Diabetic Retinopathy Screening bus operated by Lion of Illinois. - sponsors Hearing Aid bus operated by Lions of Illinois. 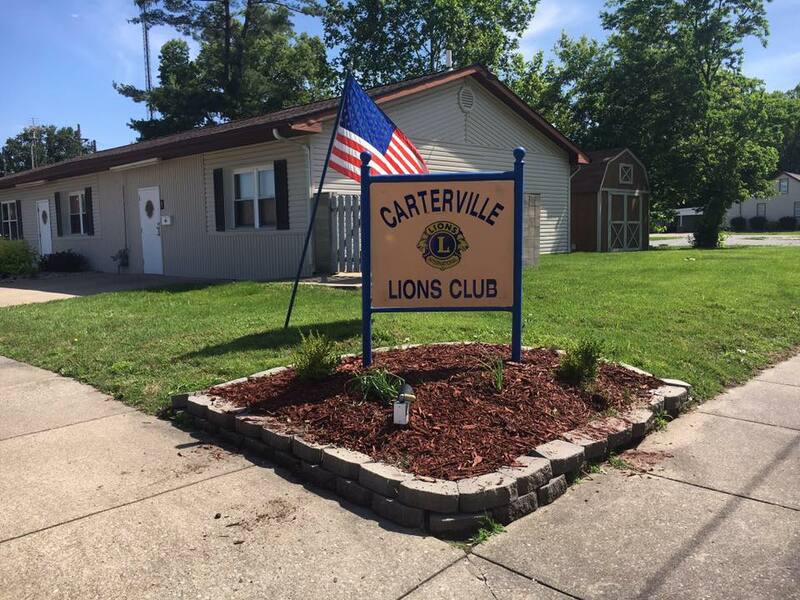 Our clubhouse is owned by the Carterville Lions and is used by other organizations for their meetings. it can be rented by calling 618-985-6868.